Earnings per share (EPS) is a key metric used to determine the common shareholder’sStockholders EquityStockholders Equity (also known as Shareholders Equity) is an account on a company's balance sheet that consists of share capital plus retained earnings. It also represents the residual value of assets minus liabilities. By rearranging the original accounting equation, we get Stockholders Equity = Assets – Liabilities portion of the company’s profit. Earnings per share measures each common share’s profitNet Profit MarginNet profit margin is a formula used to calculate the percentage of profit a company produces from its total revenue. The profit margin ratio of each company differs by industry. Profit margin = Net income ⁄ Total revenue x 100. Net income is calculated by deducting all company expenses from its total revenue which is allocation in relation to the company’s total profit. IFRS uses the term “ordinary shares” to refer to common shares. The EPS figure is important because it is used by investors and analysts to assess company performance, to predict future earnings, and to estimate the value of the firm’s shares. There are two different types of Earnings per share: Basic and Diluted. Reporting Basic EPS is required because it increases the comparability of earnings between different companies. Diluted EPS is required to reduce moral hazard issues. Without diluted EPS, it would be easier for the management to mislead shareholders regarding the profitability of the company. This is done by issuing convertible securities such as bonds, preferred shares, and stock options that do not require issuing common shares immediately but could lead to issuance in the future. Capital structures that do not include potentially dilutive securities are called simple capital structures. On the other hand, complex capital structures include such securities. Dilutive securities refer to any financial instrument that can be converted or can increase the number of common shares outstanding for the company. Dilutive securities can be convertible bonds, convertible preferred shares, and stock options or warrants. Net income available to shareholders for EPS purposes refers to net income less dividends on preferred shares. Dividends payable to preferred shareholders are not available to common shareholders and must be deducted to calculate EPS. There are two kinds of preferred shares that we need to know about: cumulative and non-cumulative. For cumulative preferred shares, the preferred shareholder’s entitlement must always be deducted regardless of whether they are declared or paid. Only the current period’s dividends should be considered, not any dividend in arrears. For non-cumulative preferred shares, the dividends should only be deducted if the dividend has been declared. 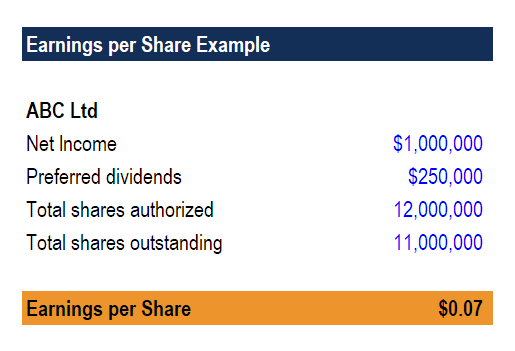 To determine the total number of common shares, we calculate the weighted average number of ordinary shares outstanding. A weighted average number is used instead of a year-end number because the number of common shares frequently changes throughout the year. Preferred shares: 1,000,000 authorized, 400,000 issued and outstanding, $4 per share per year dividend, cumulative, convertible at the rate of 1 preferred to 5 common shares. Common shares: 5,000,000 authorized, 800,000 issued and outstanding, no par value and no fixed dividend. Calculate Basic EPS if net income was $2,234,000. When calculating for diluted EPS, we must always consider and identify all potential ordinary shares. When calculating for diluted EPS, we always use the if-converted method. This method assumes that the security is converted into common shares at the beginning of the period unless noted otherwise and that the company had not paid interest or preferred share dividends during the year because it is assumed to be converted at the beginning of the year. Remember that interest on bonds payable is a tax-deductible expense while dividends on preferred shares are not. Finally, for stock options and warrants, we must only consider options that are “in-the-money.” These refer to options in which the exercise price is lower than the average market price of the shares. Stock Options – Good or Bad? Many companies today issue stock options and warrants to their employees as part of their benefits package. Would such a benefit be appealing to you or are they simply a marketing tactic? Although these benefits can prove to be useful, they also have limitations. Let’s take a look at the advantages and disadvantages of stock option benefits. Addresses the issue of moral hazard – Employees are motivated to work harder because the value of their compensation can increase through better performance. Employees may have low tolerance to risks and therefore, they may not like the risk inherent in stock options. Typically, these options have a vesting period wherein employees can only exercise them at a later date, which helps retain employees. If employees do not understand the value of the options, they will not consider it a benefit. If the options are exercised, employees become shareholders, which ensures that they will act in the best interests of the company. Employees have limited abilities to affect the stock price and therefore, stock options might not be motivating enough for them to work hard. To further understand earnings and equity, see the following resources from CFI. Thanks for reading this guide to understanding and calculating EPS. CFI is the official global provider of the Financial Modeling and Valuation Analyst (FMVA)™FMVA™ CertificationThe Financial Modeling & Valueation Analyst (FMVA)™ accreditation is a global standard for financial analysts that covers finance, accounting, financial modeling, valuation, budgeting, forecasting, presentations, and strategy. certification, designed to transform anyone into a world-class financial analyst. Earnings SeasonEarnings SeasonEarnings season is the time during which publicly-traded companies announce their financial results in the market. The time occurs at the end of every quarter, i.e., four times in a year for U.S. companies. Companies in other regions have different reporting periods, such as Europe where companies report semi-annually.